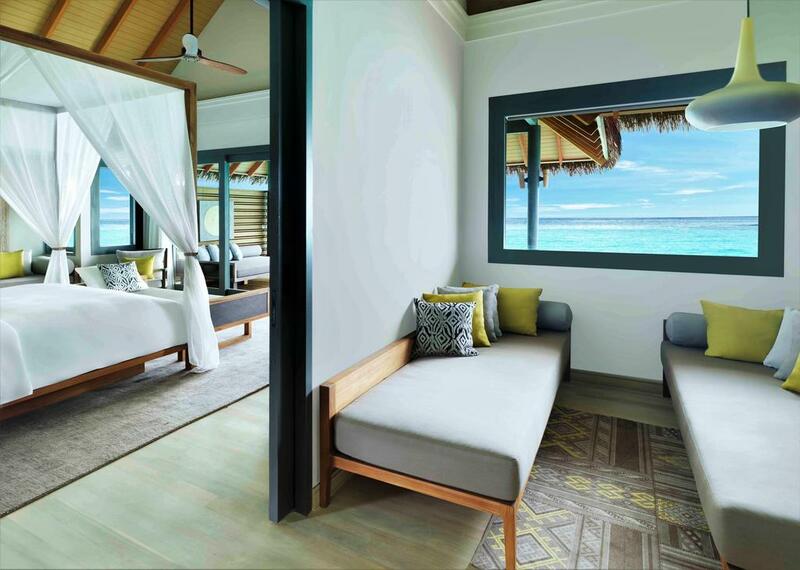 Vakkaru Maldives Resort is located on an awe-inspiring enclave in Baa Atoll, a UNESCO Biosphere Reserve. 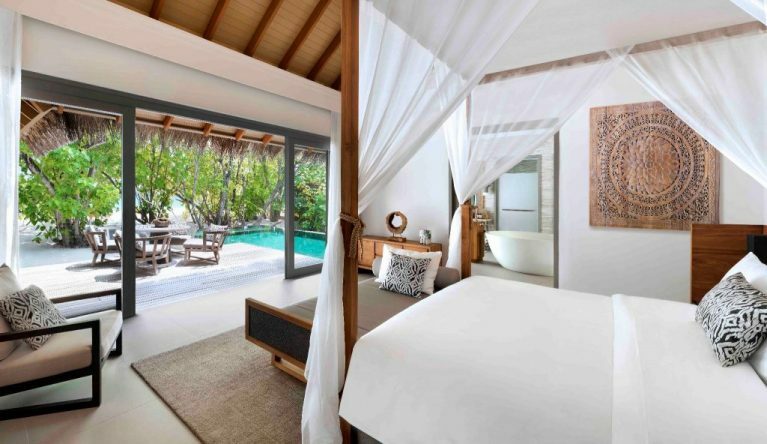 Vakkaru Maldives Resort is a lush tropical habitat where privacy and personalized service abound, allowing you to experience an authentic island getaway amidst one of the most desirable destinations on earth. 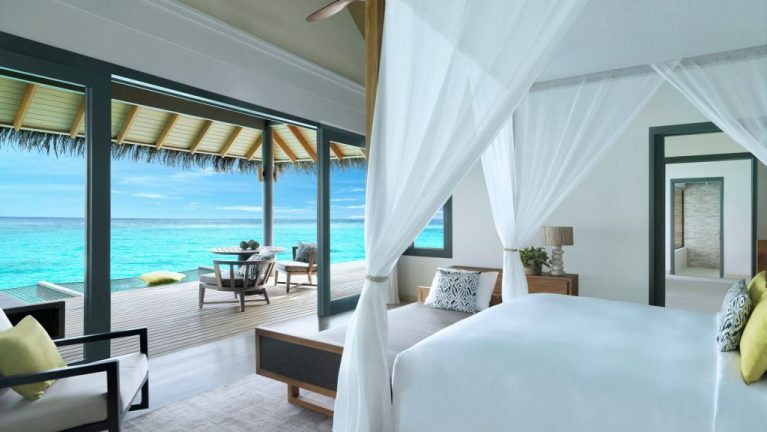 Whether you are traveling as a couple on a romantic break, or in a larger group with family and friends, the resort offers a superlative choice of accommodation types. 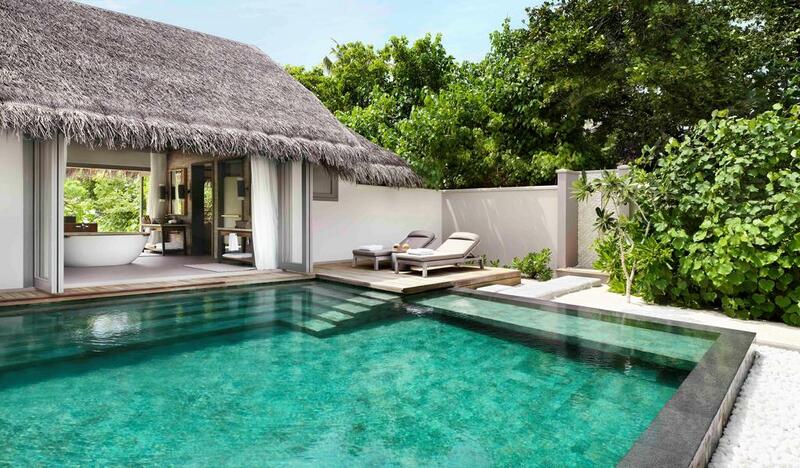 Featured as one of the best Resorts in Maldives, ideal for both Family stays as well as Honeymoon in Maldives. Natural splendor is infused throughout the resort, which features 1,400 fully-grown coconut trees, and guest areas include four restaurants, two bars, extensive leisure and recreational facilities and a kids’ club. Let the timeless allure of the Maldives welcome you in, as you discover the warmth and affection of its people in this idyllic island retreat. Transfers by SEAPLANE a journey of 30 minutes. Transfers by DOMESTIC FLIGHT + SPEEDBOAT a journey of 20 minutes Flight + 35 minutes speedboat. 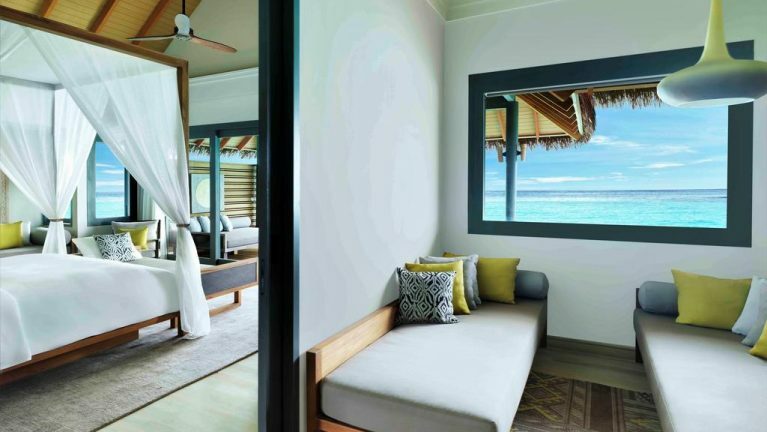 Merana Spa Find inner serenity with expert therapists at the luxurious over water spa, featuring four couple’s treatment rooms with ocean views, eight single treatment rooms, a nail salon, spa boutique, and outdoor relaxation area. Stay 7 nights or more enjoy 30% Discount off Room Rate. Stay 4 – 6 nights, enjoy 20% Discount off Room Rate. Offer applicable to all guests in the room and applicable to all room types. Not combinable with any other discounted pricing offers unless stated. Not applicable to spa, water sports or other. Package price is per person price applicable for 7 Night stays. Also available from 9 April to 31 July 2018. Package is applicable for Honeymoon stays only. 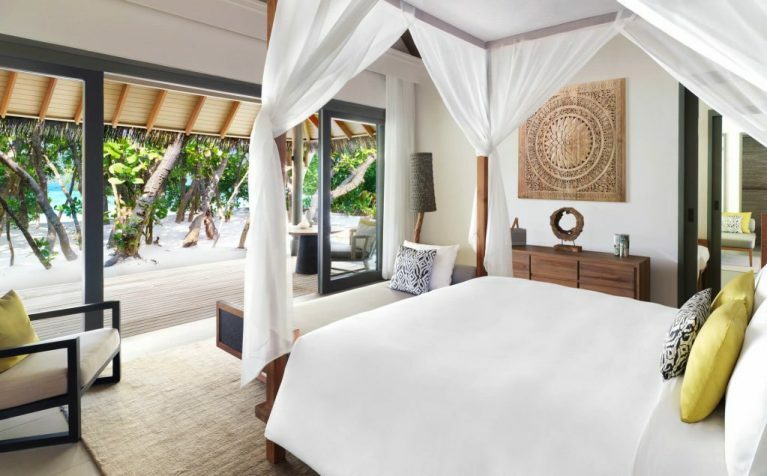 Package applicable for minimum 4 Nights staying Honeymooners only. - Enjoy a Bottle of Champagne. 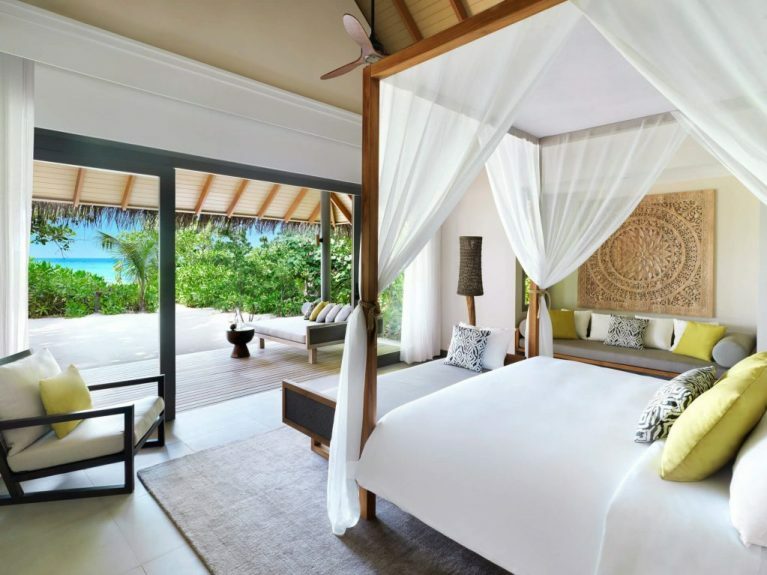 - Romantic bed decoration turn down on one evening during stay. - A Gift on Departure. Also available from 1st to 30th September 2018. Nestled between swaying coconut trees and lush foliage, Beach Bungalows are perfect for couples who want to step straight off the deck and feel the soft white sand between their toes, before plunging into the turquoise waters of the lagoon. 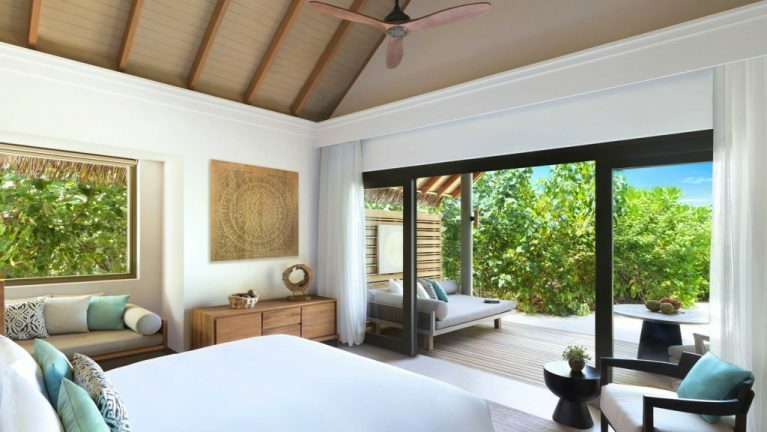 Featuring the exclusive design characteristics of all our guest villas, plus a separate sleeping area for two children and a day bed in the parents’ bedroom, the villas provide the ideal space for a family with up to three children under 12 years to relax and enjoy a sublime stay. The serene space of our Beach Villas has been enhanced even further in the Beach Pool Suites, which have a separate living room and 32m2 private pool, with the bedroom, living room and bathroom all facing the azure waters of the lagoon. 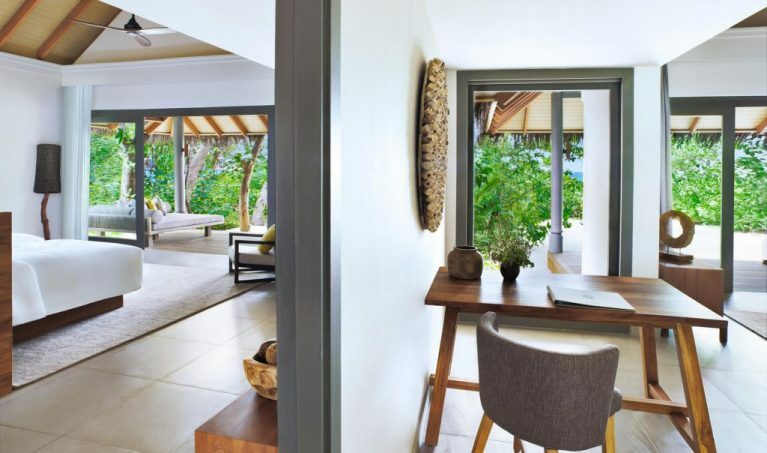 The villas offer a wonderful sense of seclusion outdoors and a sociable space within, perfect for families or two couples, with one king and one twin bedroom and an interior interconnecting door. 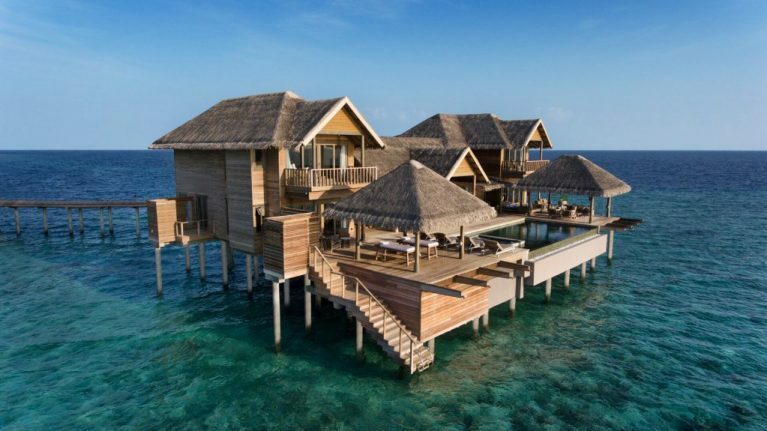 The ultimate romantic hideaway set over the turquoise lagoon, our Over Water Villas are elegantly designed for two adults looking to appreciate the wonder of their aquatic surroundings. 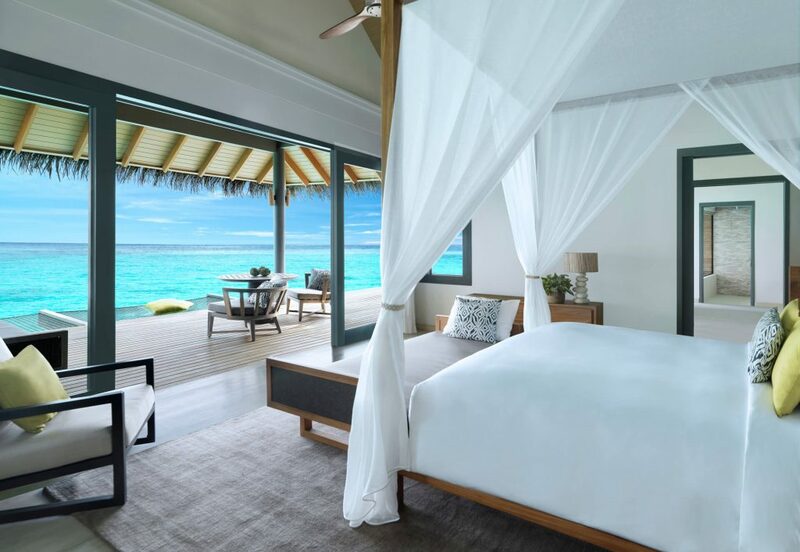 Picture perfect accommodation for families wanting to share the unique experience of staying above the emerald waters. 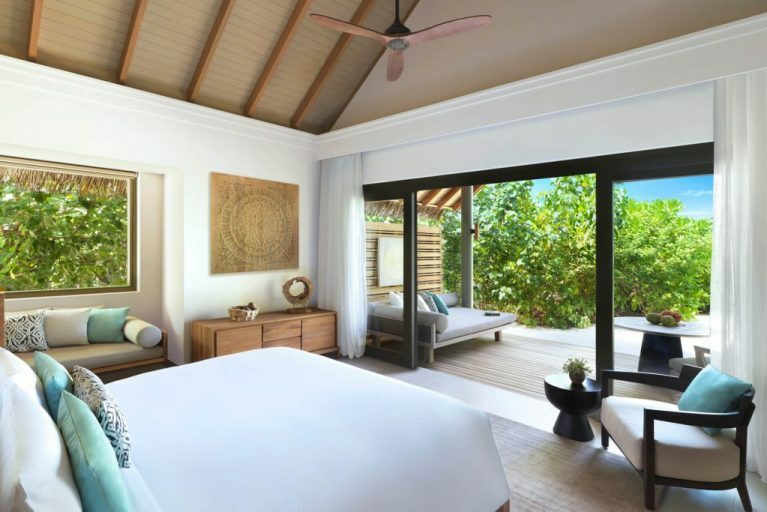 Our Over Water Family Villas feature the same exclusive design as the Over Water Villas, plus a separate sleeping area for two children and a day bed in the parents’ bedroom area, allowing a family with up to three children under 12 years to relax in exceptional comfort. 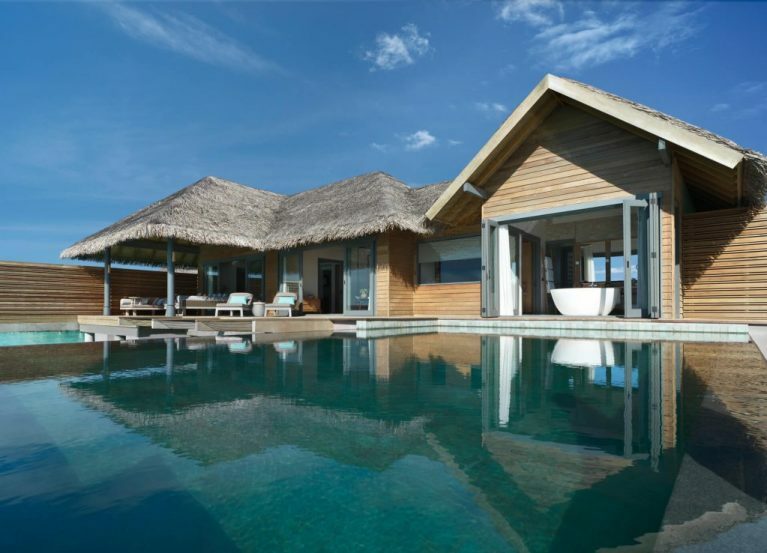 This magnificent two-story over water residence is a decadent sanctuary with direct, uninterrupted views of the sunset and located at the end of the Over Water Villas to ensure total privacy. A collection of delectable dishes from across the world are served in four restaurants and two bars, offering the perfect environment for everyone to relax, unwind and indulge in style. Enjoy handpicked fresh organic ingredients from our farm and sample flavors from Europe to Asia as you soak up the tranquil atmosphere with a table under the stars or dine amidst elegant, locally-inspired interiors. LAGOON BAR Creative cocktails and light snacks can be enjoyed in this adults only bar above the crystal waters. PRIVATE DINING For those who want a more personal dining experience, allow us to create a beautiful meal on the terrace or a candlelit dinner on the sand, as you savor the best island dishes in the comfort of your own villa or suite. ISOLETTA A contemporary Italian restaurant serving innovative dishes and fine wines for lunch and dinner. and an abundant wine cellar. WINE CELLAR The sommelier has selected the finest wines from around the world to enhance your dining experiences. 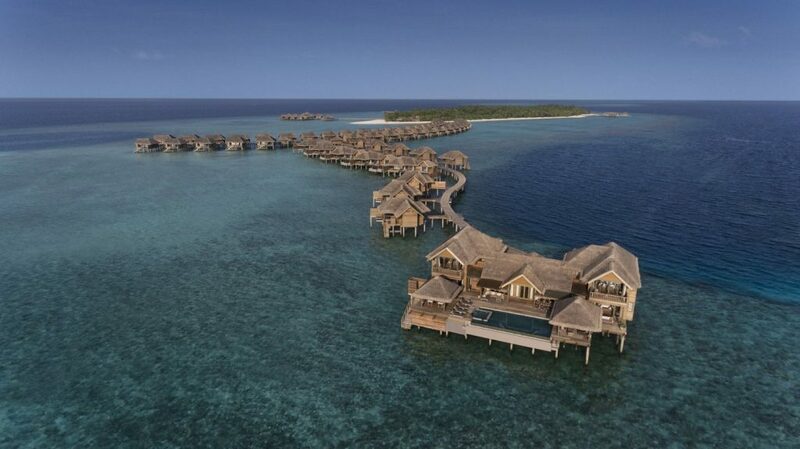 Top Luxury Resort located in Baa Atoll, a UNESCO Biosphere Reserve. Recommended for Luxury Honeymoon stays or Family holidays.